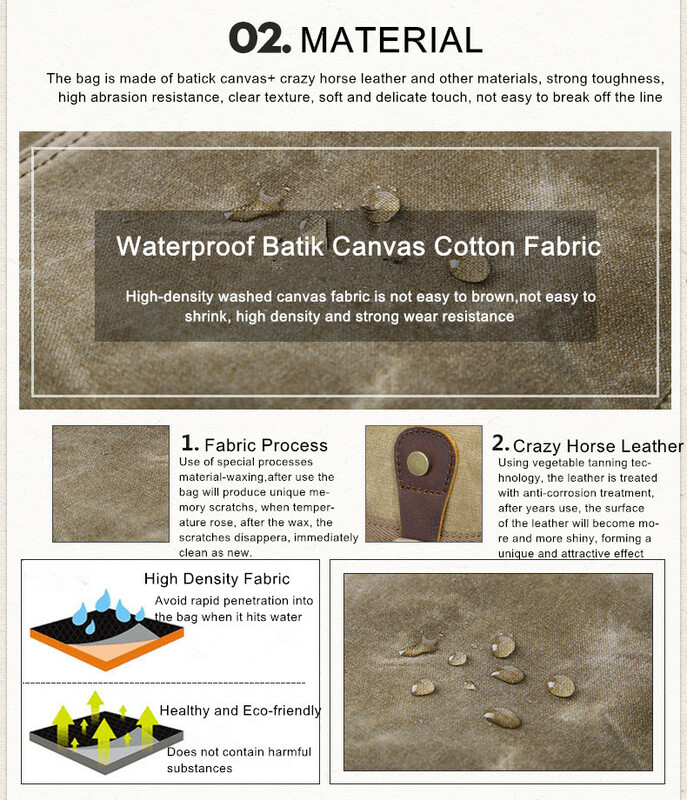 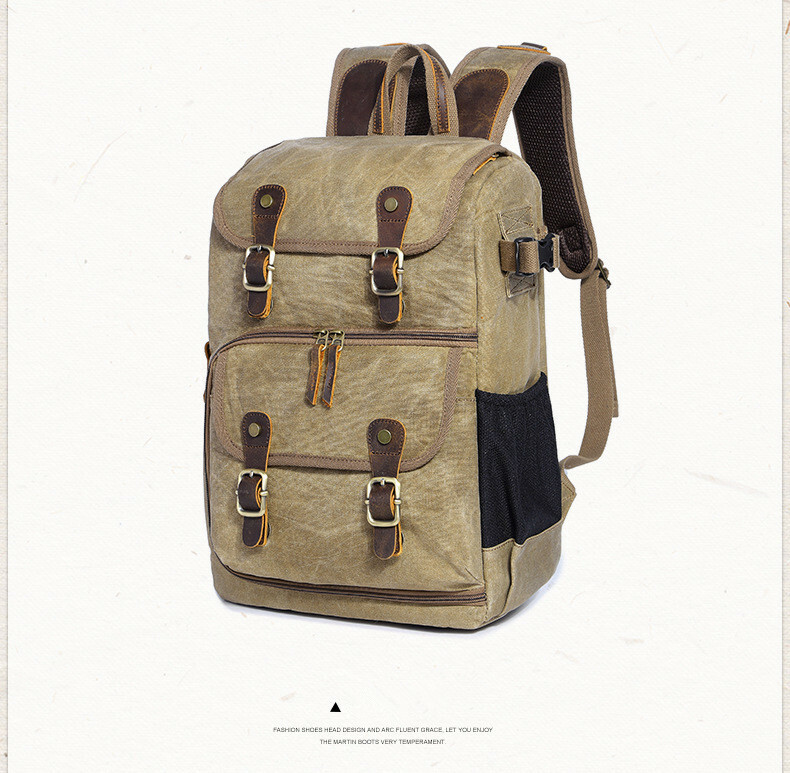 [Material] The bag is made of batik canvas, crazy horse skin and other materials. 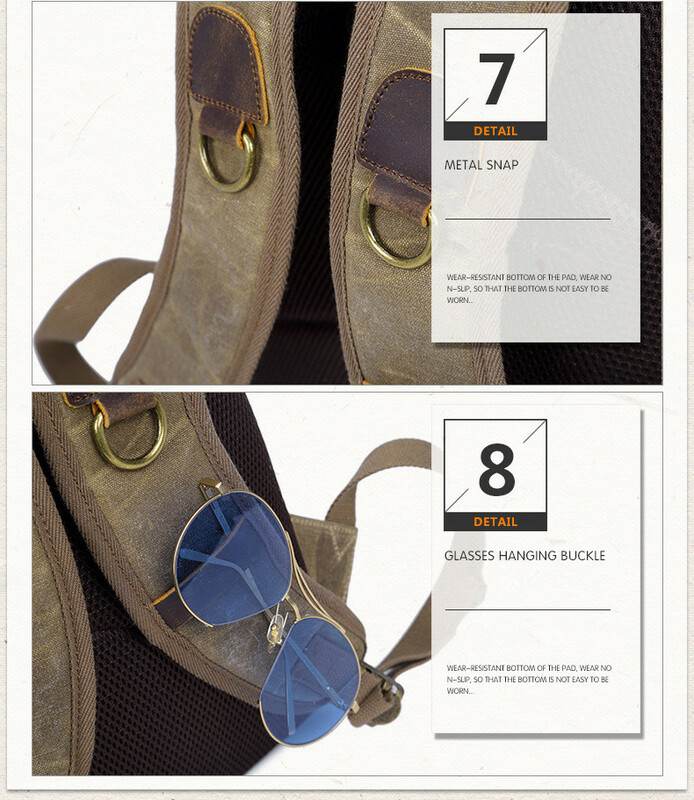 It has strong toughness, high wear resistance, water repellent resistance, comfortable hand feeling, and it is not easy to break off the wire. 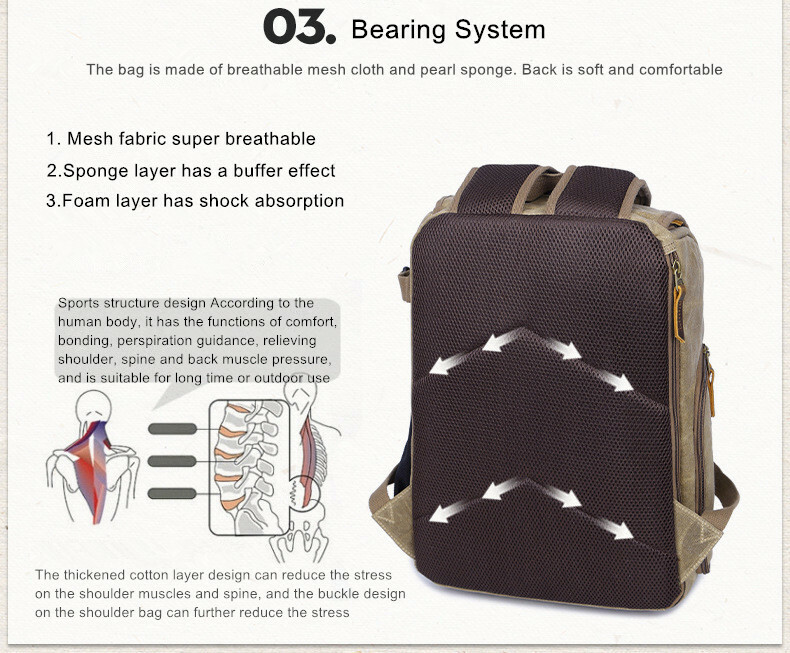 [Backing system] The back of the bag is made of breathable mesh cloth, pearl sponge and other materials to make the carrying system soft and comfortable, sweat-absorbent and breathable. 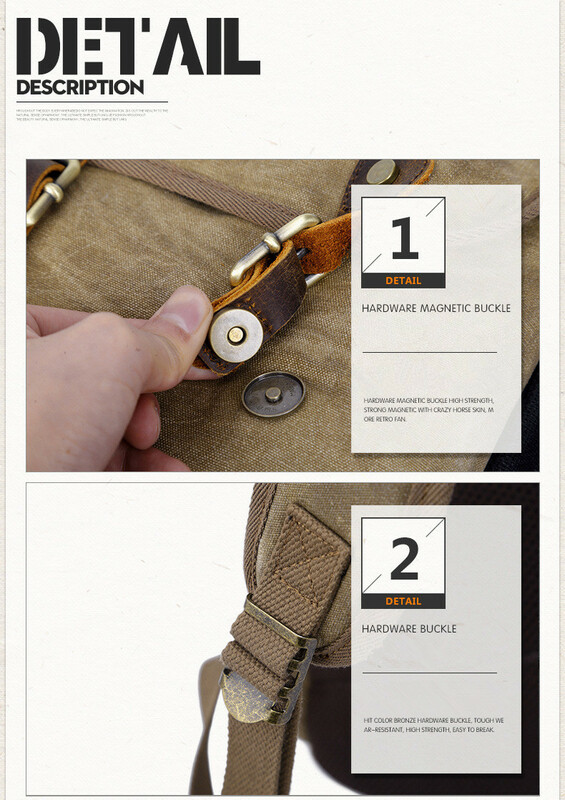 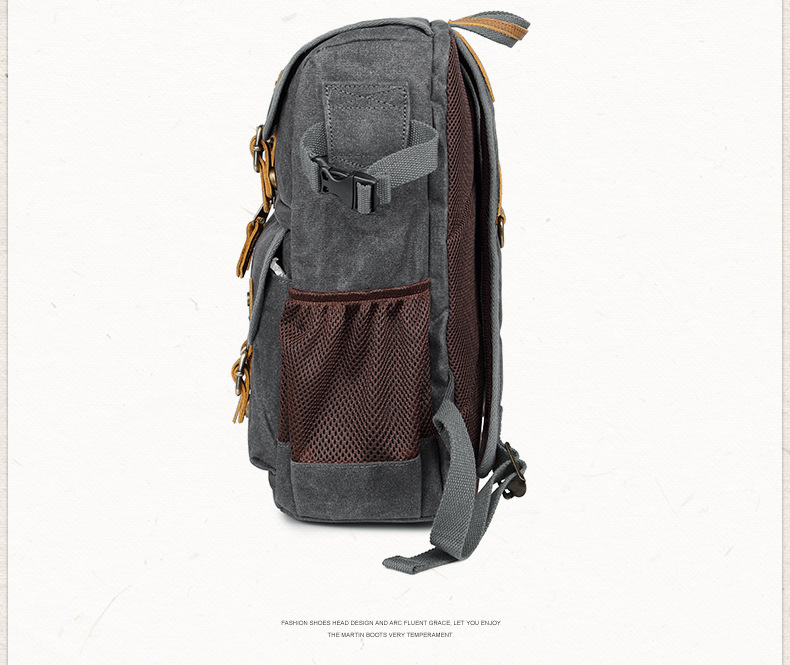 [Details] Solid hardware shackles, textured custom zippers, bottom dustproof pads, etc. 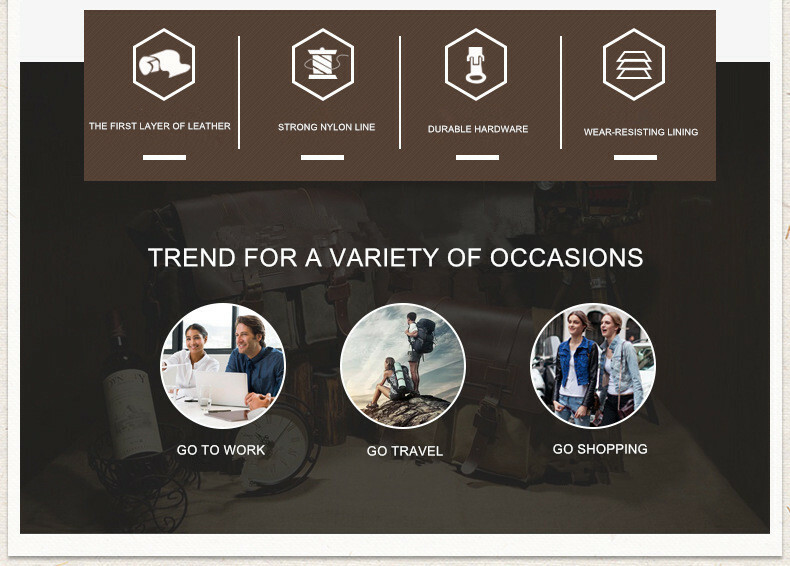 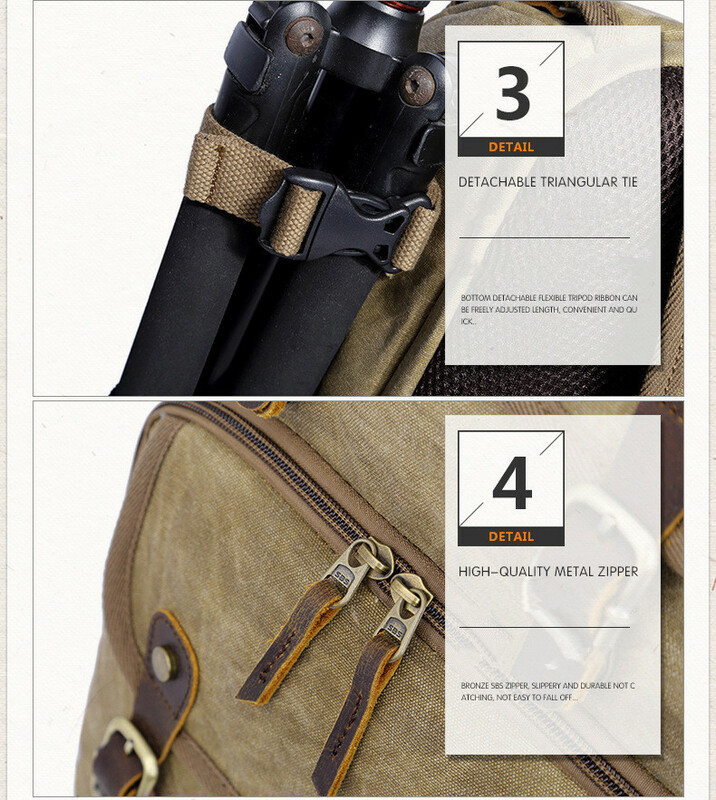 Each detail reflects high quality. 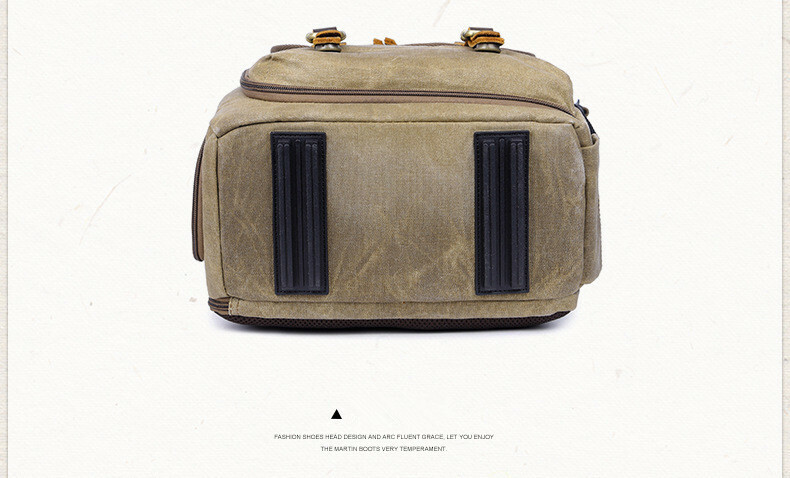 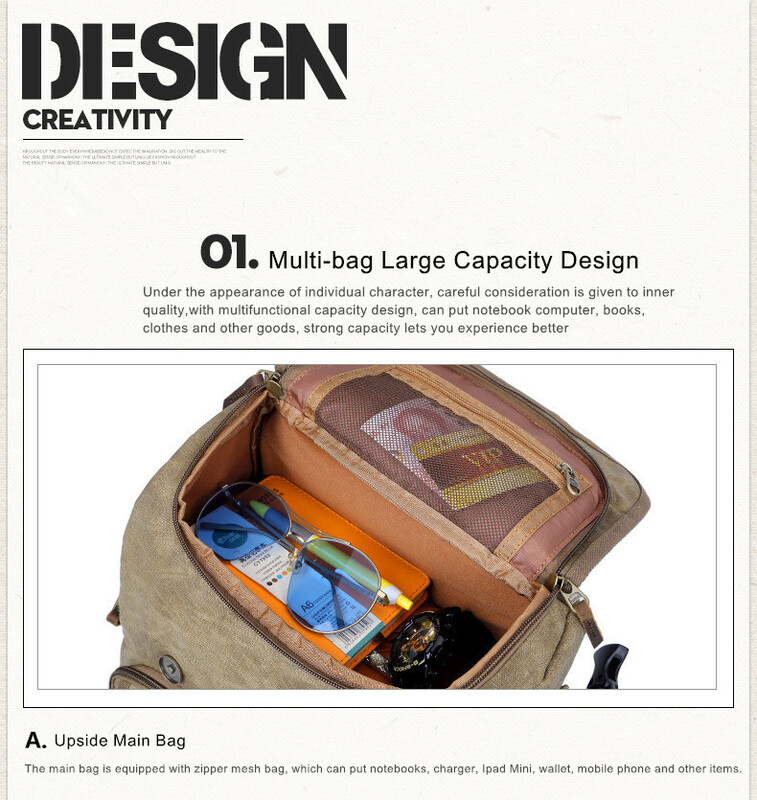 [Space] Under the premise of taking into account the individual appearance, the multi-function multi-bag and large-capacity design, the powerful capacity makes your storage experience better. 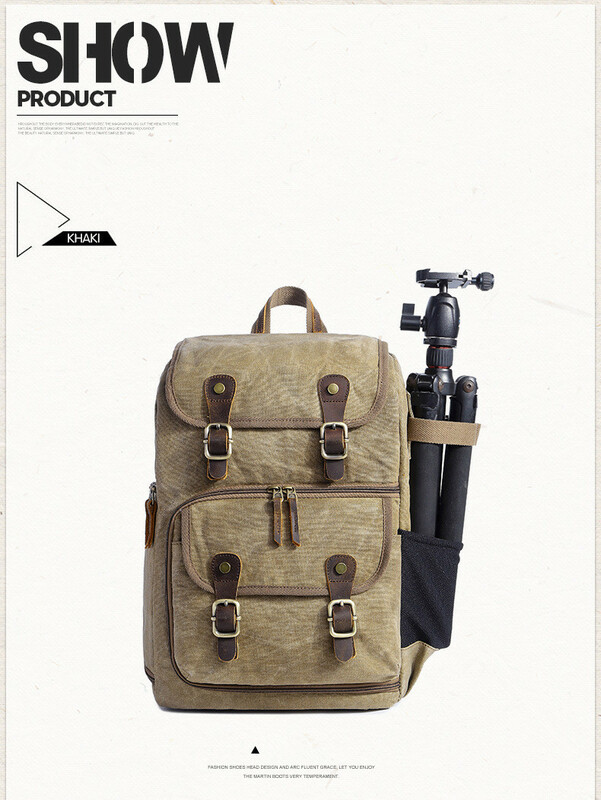 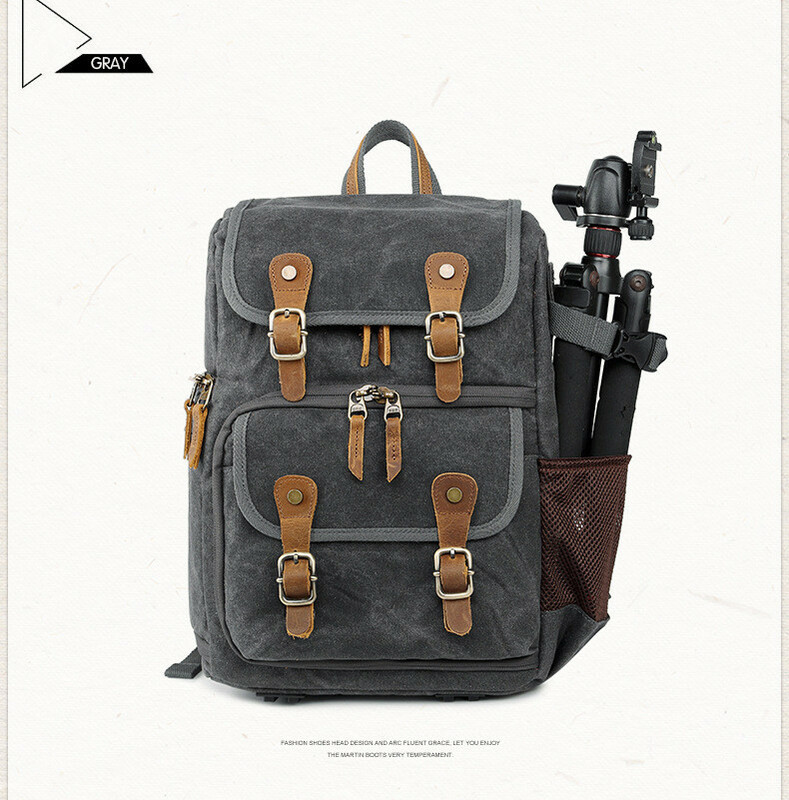 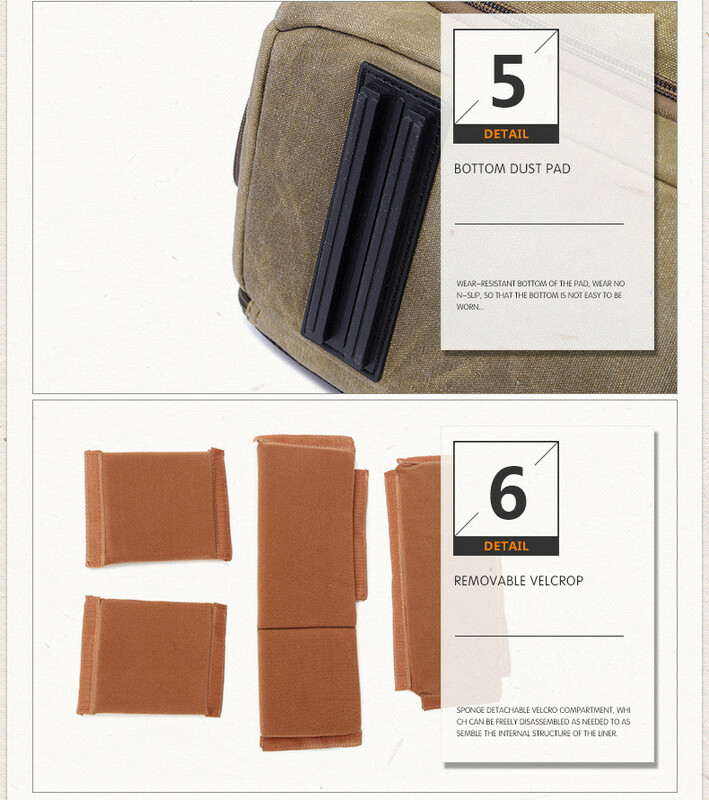 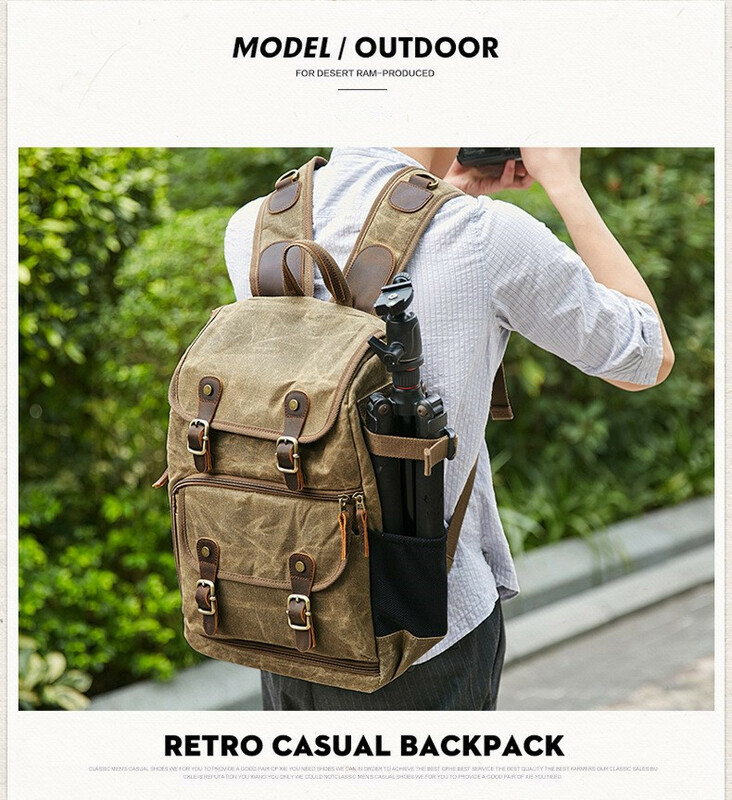 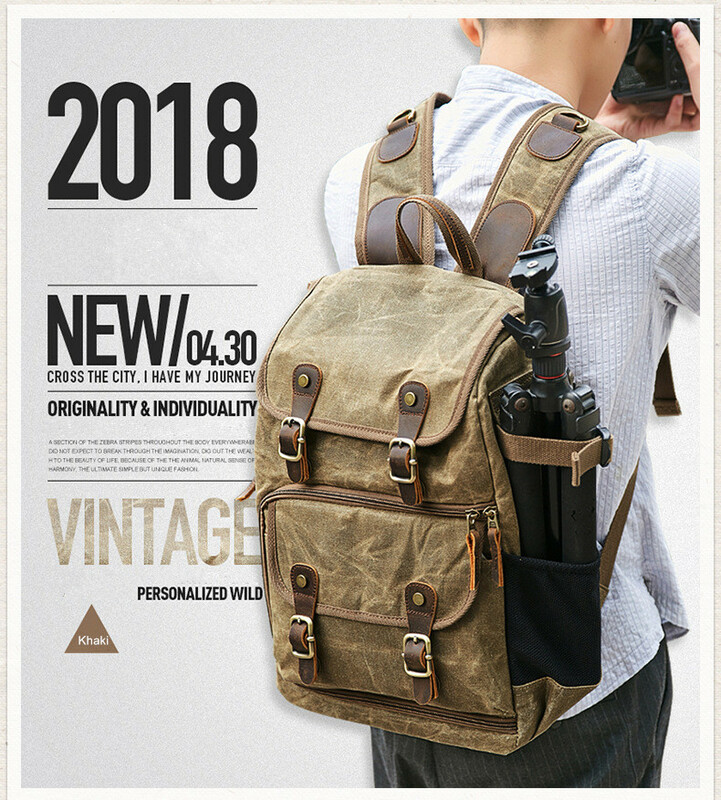 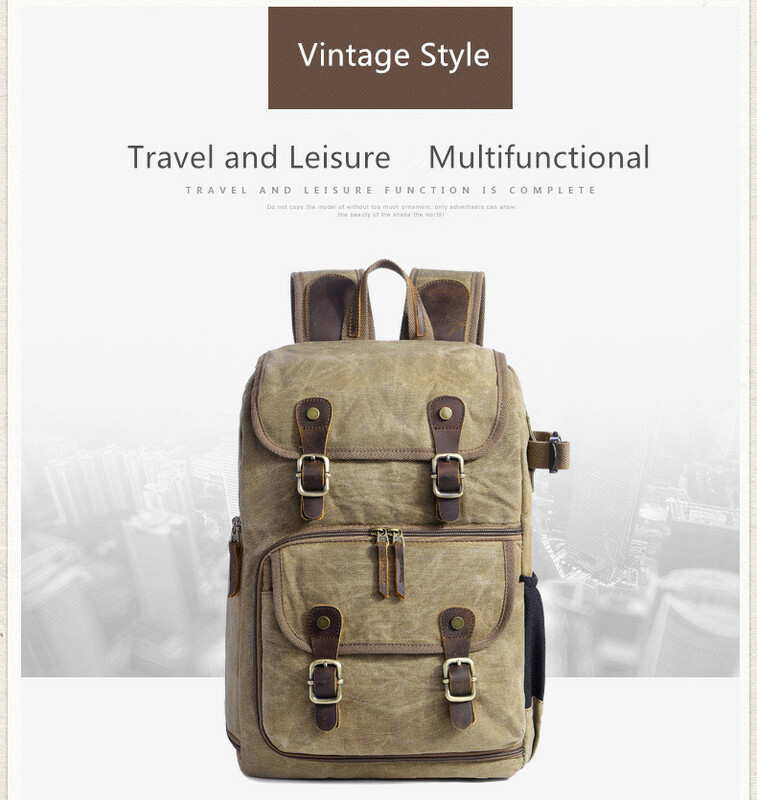 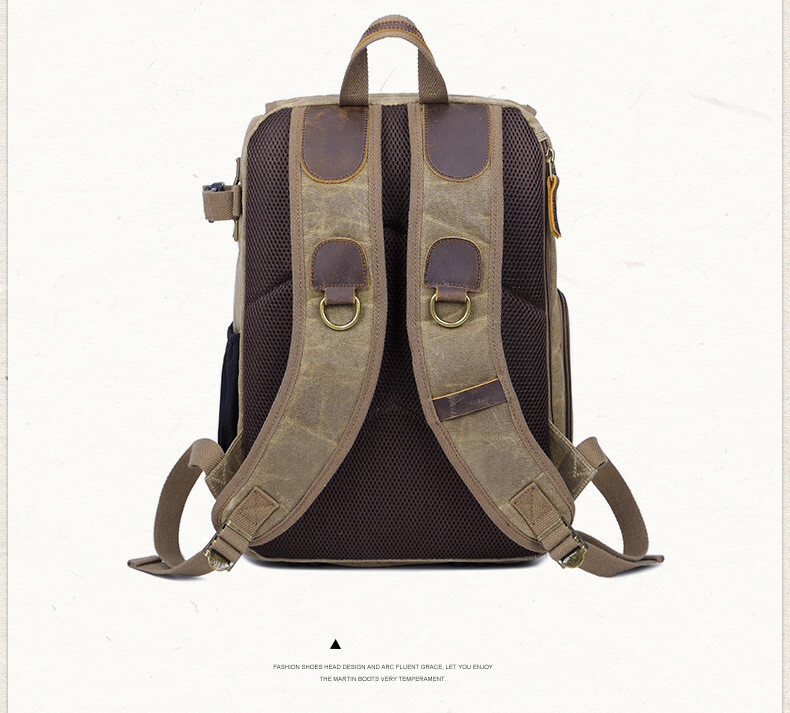 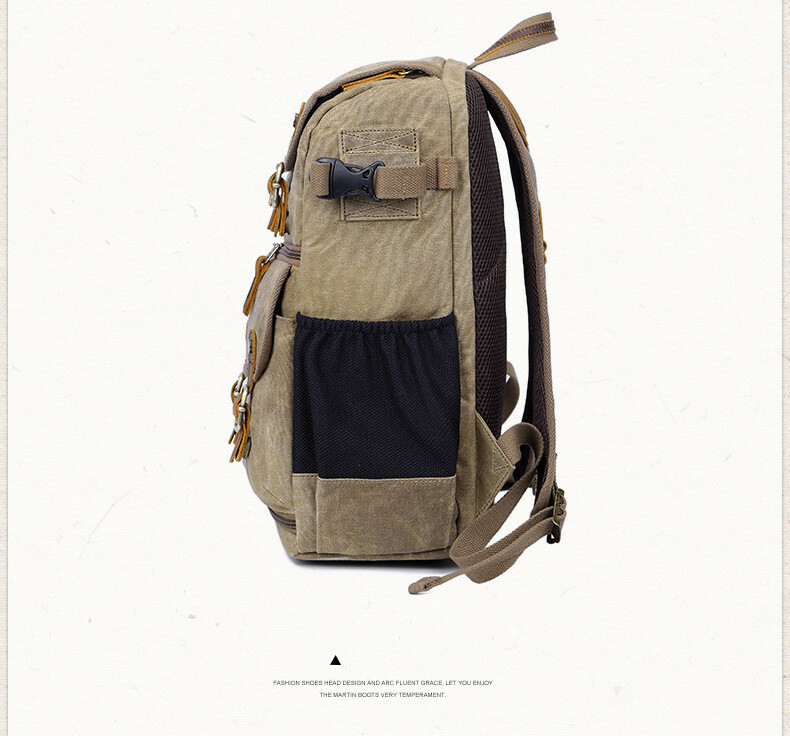 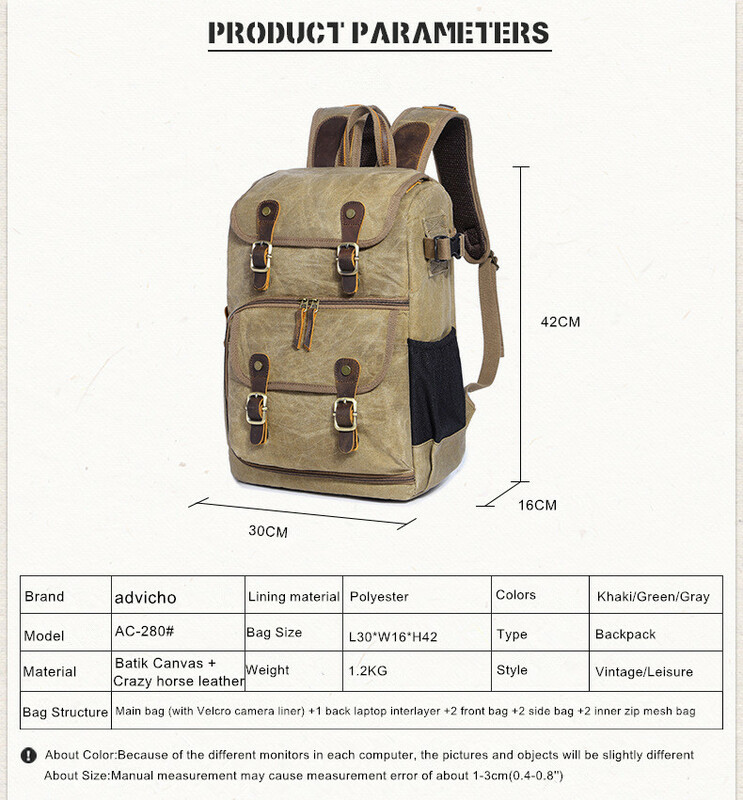 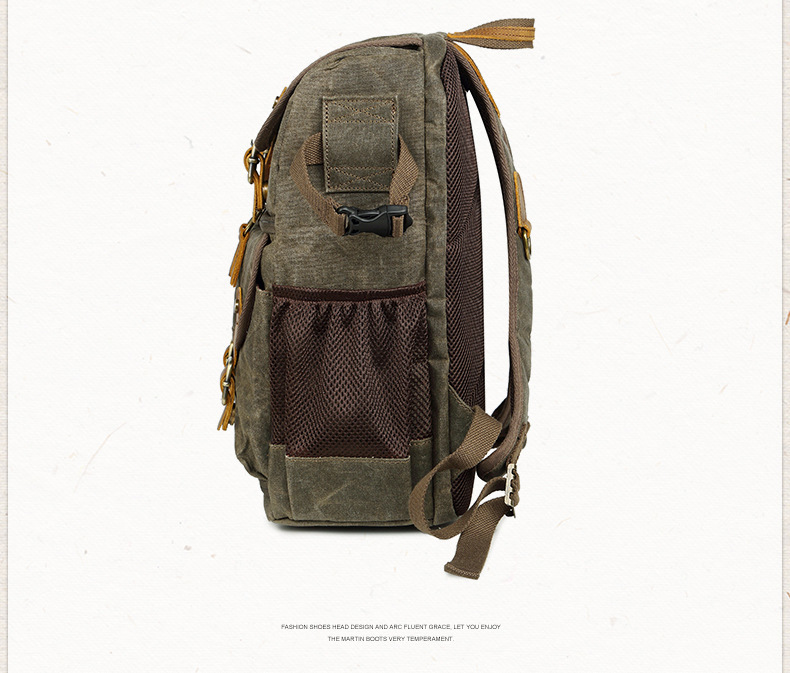 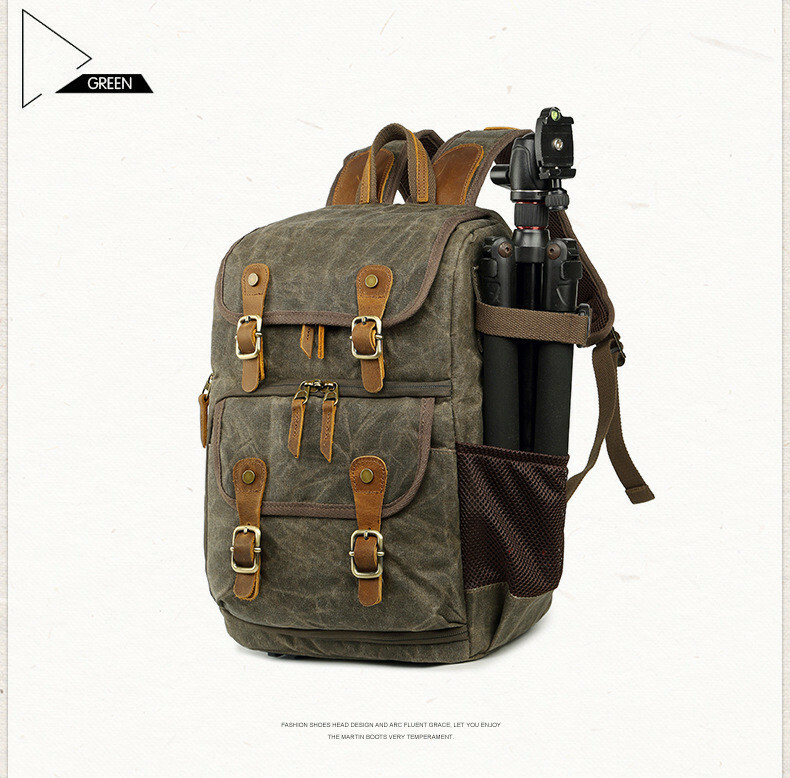 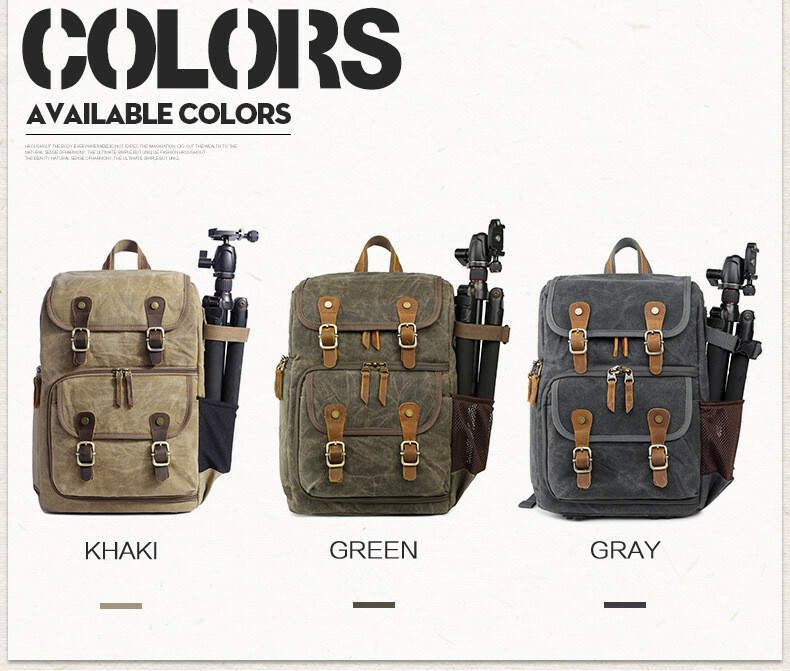 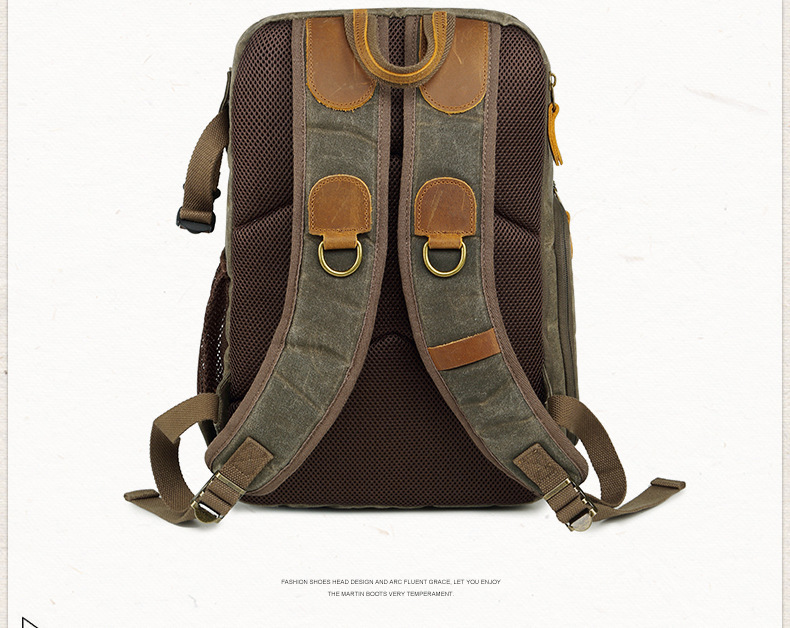 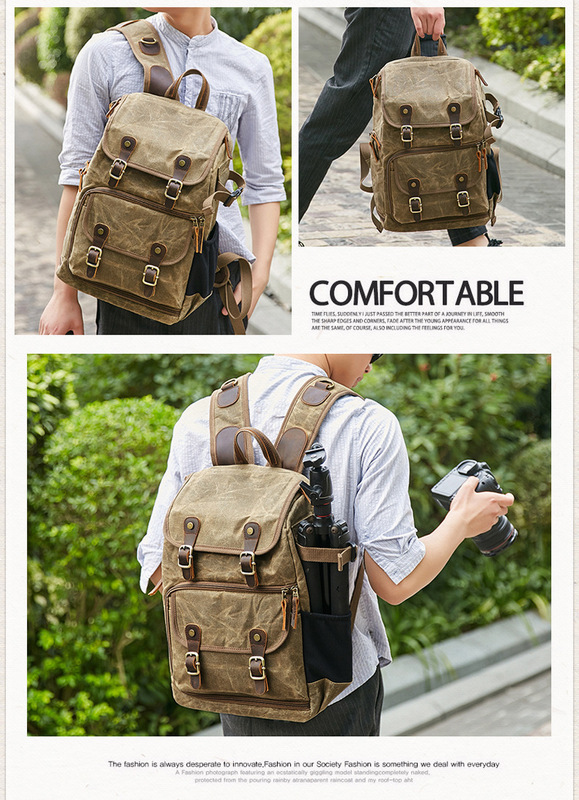 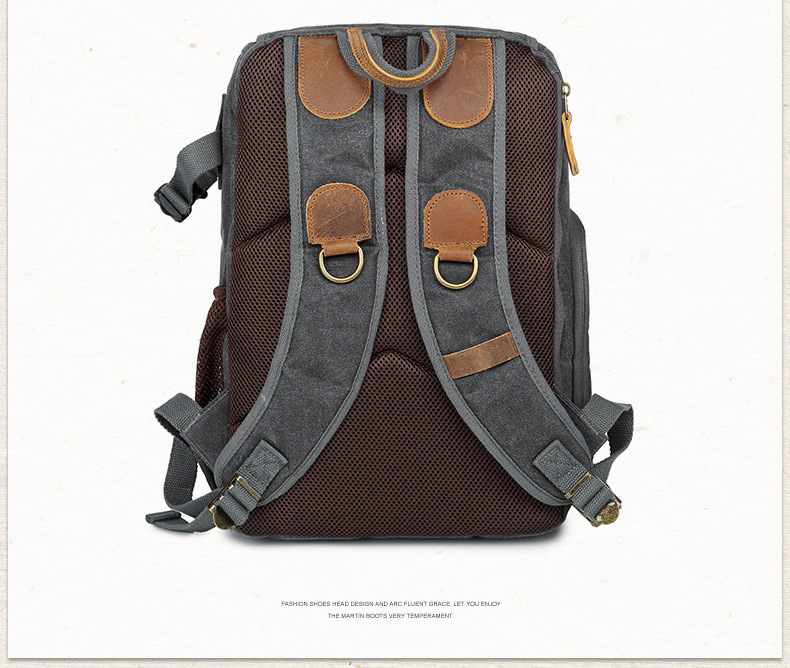 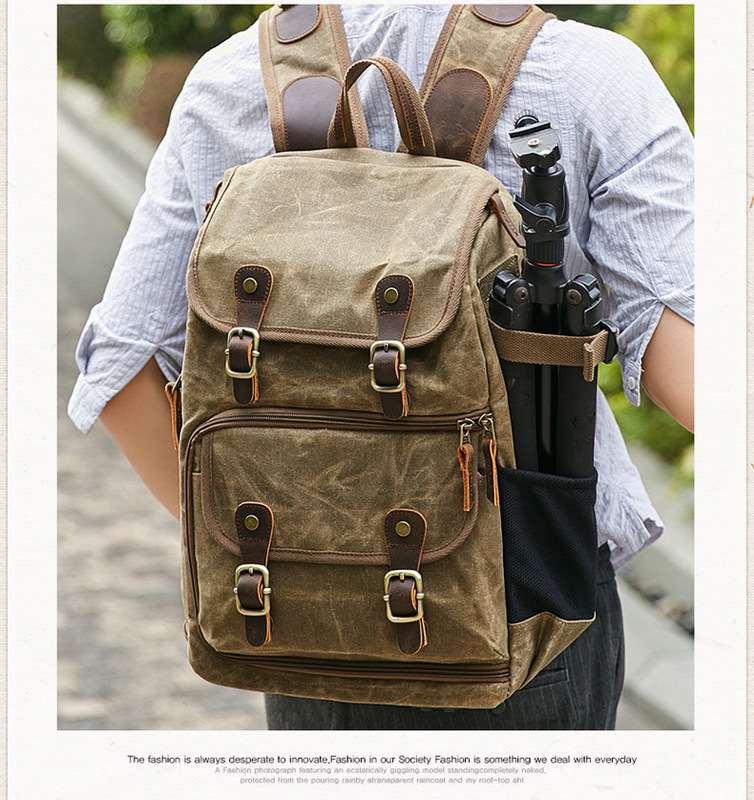 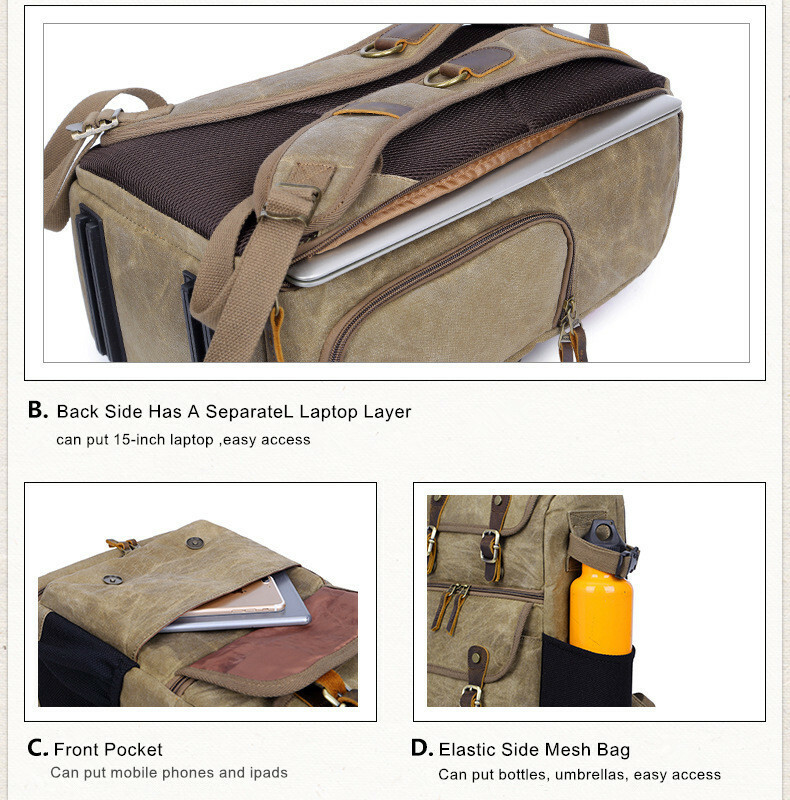 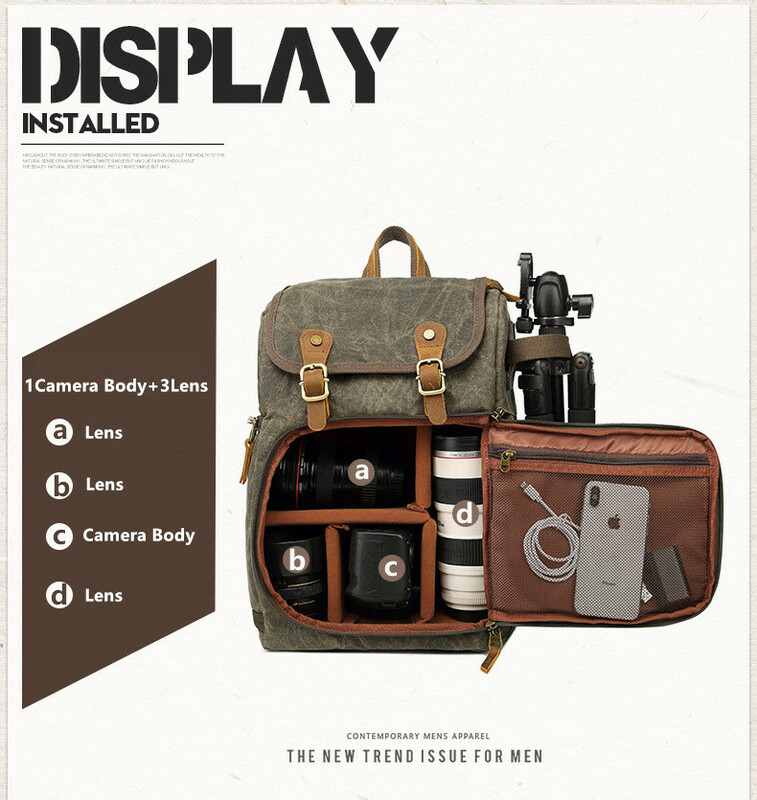 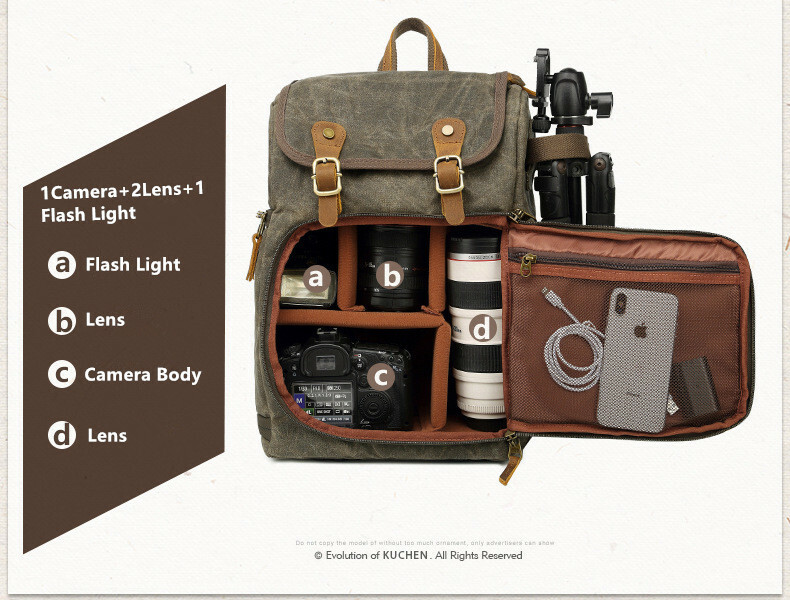 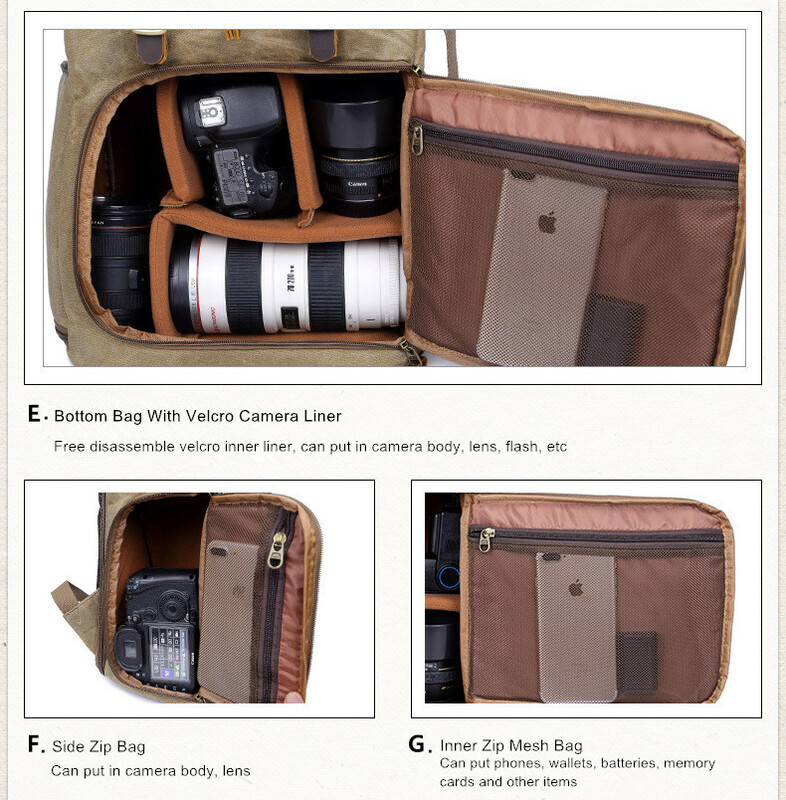 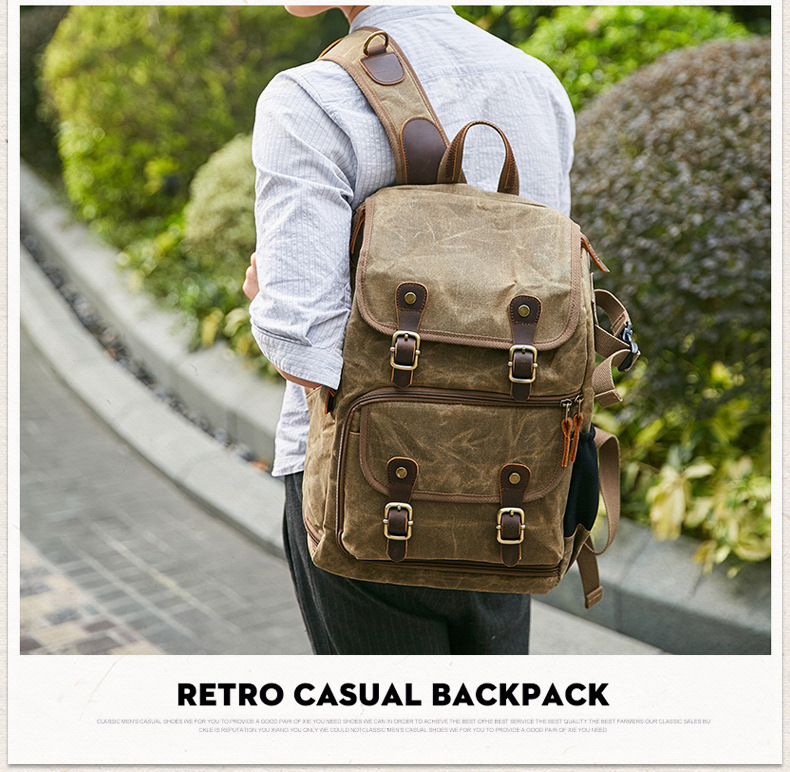 [Specifications] The color of the product is khaki, the size is 30*16*42cm, and the weight of the product is about 1.2KG.